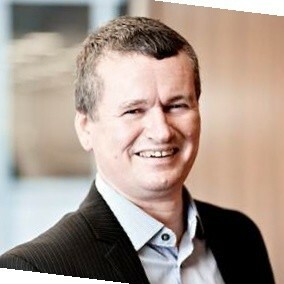 Neil Barnett is senior digital communications manager for Heathrow Airport. Responsible for digital channel engagement and digital workplace adoption. In 2009 Neil was leading the financial services sector into social media with one of the first corporate Twitter accounts and in 2013 launched the digital side of the Royal Mail IPO to shareholders and customers. With a BA Honours degree Neil started his career working on the very first Logica digital graphics computer called ‘Flair’ (developed by the BBC) creating animation sequences for TV and film. He then moved into financial services tacking 3D computer graphics into Skandia Life Assurance Group plc for engagement events with business partners. At Royal Sun Alliance (now RSA) Neil successfully introduced a variety of new internal communication channels including ‘Navigator’ a quarterly intranet, print and video magazine programme for worldwide distribution to 55,000 staff. Neil is a founding member of the Intranet Benchmarking Forum which now covers all aspects of the digital workplace and is also a fellow member of the Institute of Internal Communications (IoIC) Neil has also been a Judge for the IVCA annual awards for three years running and has recently won several awards for best use of digital for employee engagement.